Choose a script to run. The script will make a new document to place the results. Yes indeed! The hardest part of the whole challenge is in speeding up hit-tests, and you can’t imagine what this Java performance problem looks like when translated into the InDesign JS context! After remaining at a standstill for a long time, I decided to start my script from the beginning again. Continue reading at Indiscripts . . .
Eddy and I are very pleased to announce the release of the scripts library for the Adobe Software and desktop publishing and photography. Pointing out the dispersion of the scripts over the Internet, we have decided to offer a unique space gathering the best in the automation field. If you want to make part of this adventure and help us filling the base, don’t hesitate and contact us ! We hope you enjoy surfing on this site and using the scripts as much as we had creating Scriptopedia.org. Check out Scriptopedia . . .
Friday marks the start of another new year, and for a small band of reformers, another missed opportunity. For the 428th straight year, much of the world will again use the familiar Gregorian calendar. We will suffer the fiscal quarters of varying lengths and the 52 weeks that don’t quite fill the year. We will recite rhymes to recall how many days are in June, and shrug if we are asked whether Halloween is on a weekday. Almost since Pope Gregory XIII promulgated the new calendar — itself a reform of Julius Caesar’s calendar — in 1582, proposals have bubbled up for something better. Apostles of efficiency lament that each year needs a fresh wall calendar. The astronomically precise complain that Gregory’s leap-year formula (every four years, except centuries not divisible by 400) is erratic, and a hair off the real year’s length anyway. The financially fixated sigh that next year there will be more shopping days between Thanksgiving and Christmas than this year. “We have a world-wide consensus about this second-rate calendar that the pope imposed 400 years ago,” Simon Cassidy, a California software engineer and amateur calendar scholar, says by telephone from New Zealand, where he is spending the northern-hemisphere winter. Creating a calendar is like fitting a lot of round pegs into not quite as many square holes. Western tradition demands a seven-day week. Ancient custom, rooted in moon cycles, calls for a 12-month year. The Earth’s tilted axis produces four seasons. But the Earth, uncooperatively, takes 365 days, plus a tad more, to go once around the sun, and 365 is divisible by none of seven, 12 or four. And thanks to the extra bit of time — about one-fourth of a day — required for a complete orbit, leap years are needed to keep things on track. 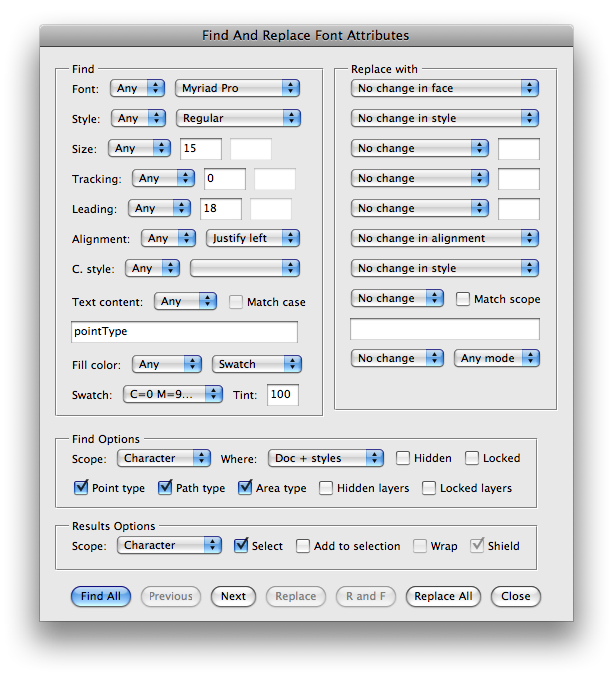 Download version 11e of Find and Replace Fonts Script (1.6m). Good thru November 2010. More information on this script available in this March 2009 post. 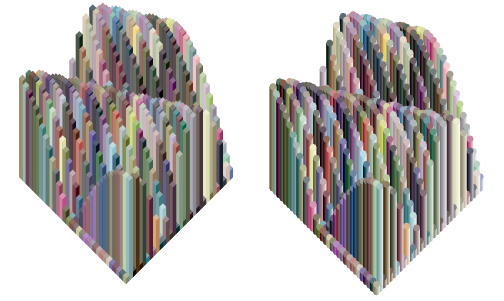 Republished from John Wundes’ JS4AI blog. Want to make halftones in illustrator? You could go the auto trace route, or you could go with a plug-in from Phantasm. The Phantasm plug-in is powerful and gives you great control, so I do recommend using their product, but if you’re on a tight budget, you can try my new script which is easy, and free. Continue reading at the JS4AI blog . . .
Download version 11d of Find and Replace Fonts Script (1.6m). Good thru summer 2009. I’ve worked with Jim to refine it the last couple weeks. I think it’s ready for prime time now. 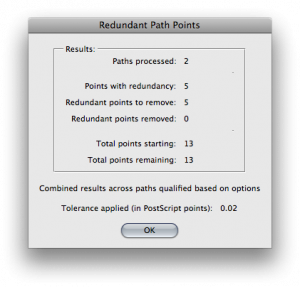 Settings shown to remove redundant points for outlined path screenshot above. I used a tolerance of 12 points for the river ox bow screenshot below. 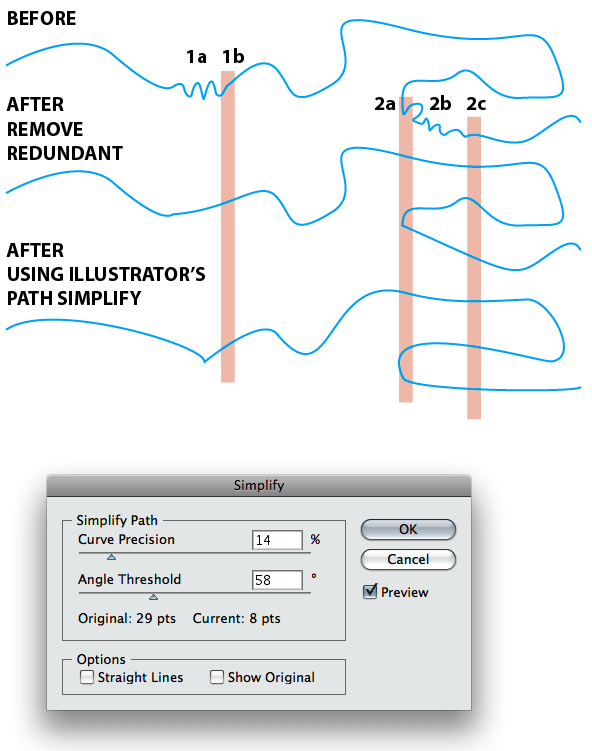 I illustrate below the result of using Jim’s generalization script on a typial river path and you can see in area 1a and 2b how the ox bow removal is light years above Illustrator’s default path simplify command which grossly distorts the shape in the pursuit of point removal. Jim’s script preserves the shape and removes the tiny, tight wiggles. It needs a little bit more programming work to fix areas 1b and 2a + 2c where the shape is loosing some fidelity for not keeping the trailing point in the series of removed points. And maybe needing to keep an intermediary point between 2a and 2c for shape since this is a longer removal? Download the script and actions from Jim Heck’s site . . .
As with traditional periodic tables, this table presents the subject matter grouped categorically. 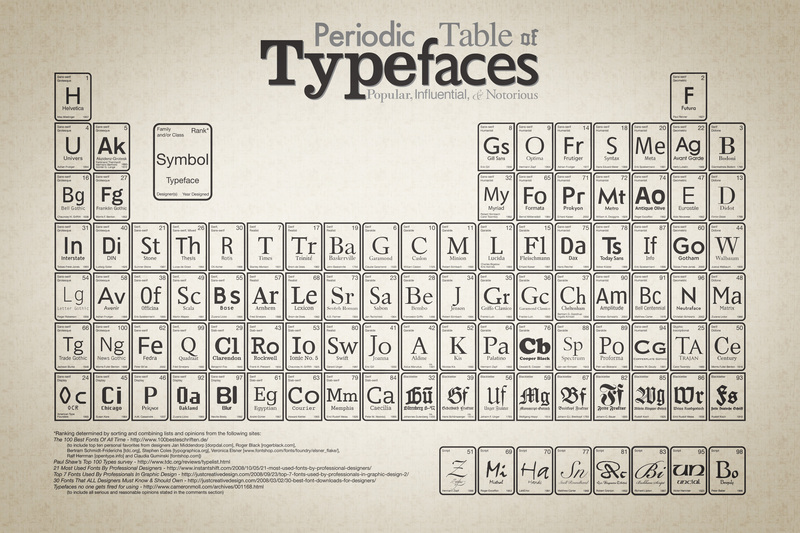 The Table of Typefaces groups by families and classes of typefaces: sans-serif, serif, script, blackletter, glyphic, display, grotesque, realist, didone, garalde, geometric, humanist, slab-serif and mixed. Each cell of the table lists the typeface and a one or two character “symbol” (made up by me simply based on logic), the designer, year designed and a ranking of 1 through 100. Ranking was determined by statistically sorting and combining lists and opinions from the the sites listed below. The final overall ranking was achieved depending on how many lists the particular typeface was presented on and it’s ranking on the lists (if the particular source list used a ranking system; some did not, in which case just the typeface’s presence on the list boosted it’s overall score.) After averaging the typefaces appearances and rankings a composite score was given and the list was sorted on a spreadsheet then finally given an overall score of 1 through 100 based on its final resting position. Continue reading at Behance Network . 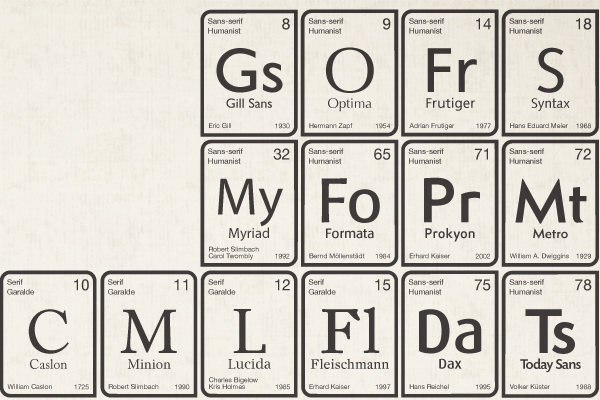 . .
(below) Detail from the Periodic Table of Typefaces. ¡¡Warning!! This is not final release-quality product!!! Please save your work before running the script. I have never had it crash my machine but don’t take chances!!! Use at your own risk!!! Download the ZIP file using “Save as”. NOTE: You will need version CS3 or CS4 of Illustrator. If you have CS or CS2, get a trial version of CS4 from Adobe. What is this tool and why would you use it? A non-modal eye dropper tool for copying font attributes and pasting them onto other text objects without directly eye dropping (like Freehand’s copy and past attributes). 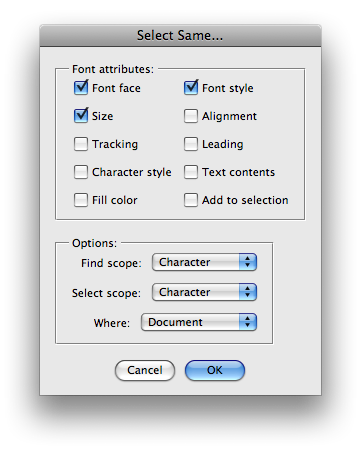 A pro version of the Find Fonts dialog already in Illustrator that does find / replacing in locked and hidden layers, or only in the active layer, sublayer, or window view. Initiating the “similar text (described in 2nd New features below) in text object mode, NOT text range or text insertion point mode. Settle on price and start selling. Perhaps thru a distributor. There will be a cheap version and a pro version. Designer: Quickly comp out a design and select all matching text with certain font attributes with the new Text magic wand tool and make them styles. Great for deadline projects. Including exactly the same color, pattern, swatch, same color mode, by character and by object. Including selecting type object NOT a color and overprints, replacing with knockout. Why Change the Registration for Point Type? To scale type size when it is registered to a townspot or other graphic element. Limit your selection to active layer, sublayer, current view, selection, artboard/page, and document. Find all type that has the “River” or “Road” or “Street” in it and then change those text range’s attributes. Options include Is, Starts, Ends, and more. 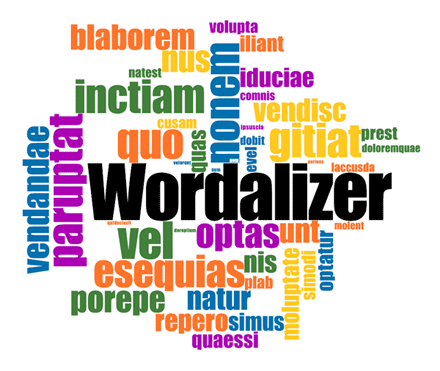 With exact phrase or add to the end or beginning of the matched text. 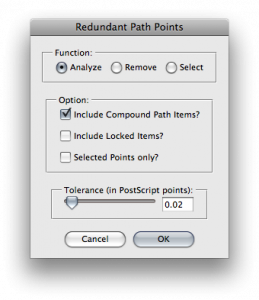 This dialog is similar to what’d you see for the planned “magic wand” for type tool settings. Thanks to Tom for this suggestion! Now selects ranges of text, not just text objects! Please let me know what you think, what bugs you find, and how it can be made more useful. Send to nathaniel@kelsocartography.com.